Three scholarship students entertaining at a Membership Meeting. In 2018, we granted 21 scholarships in dancing, piping, and fiddle. We distributed nearly $11,000.00 for these scholarships, which came from our 2017 Highland Games Raffle Sales which was designated for Scholarships. 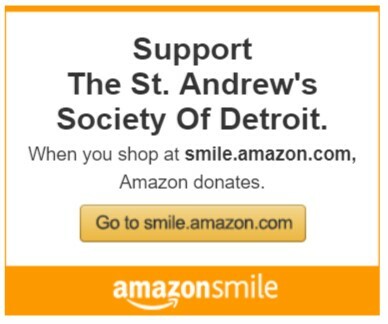 The St. Andrew’s Society is very proud of its program of scholarships for students studying the Scottish Arts. We offer scholarship assistance to Highland dancers, pipers, drummers, and fiddlers. All recipients are recommended by their instructors. No other program in the country can match our combination of the number of grants, amounts of the grants, and length of time the program has been in effect. 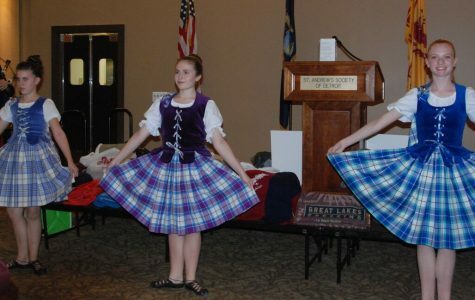 The William H. Kincaid Scottish Arts Scholarship program of the St. Andrew’s Society of Detroit provides modest, partial scholarships for beginning pipers, drummers, Highland dancers, harpists (clarsach), fiddlers, pianists, or other appropriate musical instruments to attend a summer Scottish Arts program of their choice in order to further their interest and improve their talent. Applicants must secure their own admission to the program in which interested and are advised to do this as early as possible in order to maximize the opportunity for admission. In making these awards, preference will be given to school age applicants and to first-time applicants of any age. We request that recipients come to a monthly Membership Meeting of the Society so that the talents of that year’s recipients are showcased. These awards are also available to piping, Highland dancing, and instructors of other appropriate instruments who are seeking to improve their teaching skills; these instructors can nominate themselves. The award can be used for either a short-term workshop or a summer weeklong program. Applications are distributed by early April each year to instructors, pipe majors, etc., who participated in the previous year. Those wishing to request materials for the first time are encouraged to do so. Decisions will be made in early May and only those applicants who have secured school admission will be considered. The scholarship will be credited to the student’s account at the school attended.